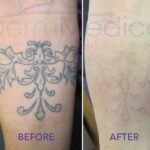 In my last blog, I discussed how Botox treatments have successfully helped patients who suffer from Hyperhidrosis. Also known as “HH”, this embarrassing condition causes people to sweat excessively, most notably from their armpits. But, of course, Botox is most commonly referred to as a wrinkle-eliminator. On YouTube, the Before & After TV channel has posted an awesome Botox video that shows some of the miraculous changes that Botox injections have made to people’s faces. One patient displayed his significantly smoother face following a treatment. His “anger line” and other lines on his forehead were all but gone after receiving Botox. The patient insisted that a line appearing between his eyebrows gave him the appearance of someone who appeared angry all the time. Hence, his term “anger line”. Noticeably, the gentleman wasn’t angry at all! Having received Botox injections before, he mentions that the “procedure is pretty quick”. He goes on to note that the effects of his injections lasted pretty long. Approximately four to six months, he says. In another Botox video, the same patient demonstrates how his crow’s feet (the wrinkles surrounding the eyes) were softened using Botox injections. What is most intriguing about the video is that it demonstrates how quick and painless the injections are. Two weeks later, the patient returns to display wrinkle-less eyes and a very happy story about how successful his treatments have been since he began receiving them. It appears clear that this patient was under the care of a trained professional. And, as always, it cannot be stressed enough that Botox injections should only be administered by a trained, licensed physician. 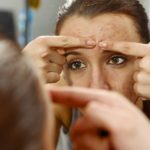 While Botox has received quite the acclaim in mainstream media for its ability to help people with the anti-aging process, it has also received some flack as well. Why? Sadly, there are individuals out there who are not licensed physicians, attempting to profit by performing Botox injections. Stay away from such people! For any questions about how Botox can help you eliminate wrinkles, crow’s feet, laugh lines or “anger lines”, consult a doctor or skin care specialist.